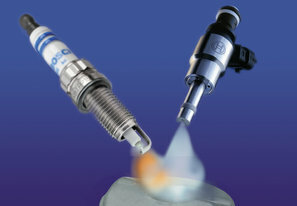 Silver Bullet Performance is proud to be able to bring you the full range of Microtech Engine Management Systems. MicroTech Engine Management Systems are designed and manufactured in Australia and can be found powering some of the world’s quickest and fastest drag cars, circuit cars, rally cars and street cars as well as numerous types of motorcycles and personal watercraft. Message today for pricing! MicroTech’s foremost goal is to manufacture high quality Engine Management Systems that are simple, dependable, easy to install and easy to tune while at the same time providing the features and tunability required by experienced racers. This makes our system the perfect choice for all types of motorsport from the weekend hot rodder venturing into EFI for the first time through to the professional motorsport teams chasing world record setting performances. Posted on August 22, 2014, in Uncategorized. Bookmark the permalink. Leave a comment.